They are often tired. Sometimes they are irritable and snap for no apparent reason. They may be depressed or anxious, and they may not want to do the things they used to enjoy. The kids might wonder why Mom or Dad never leave their bed, or why they are so sad. Care-giving family members might feel like they are the only ones helping in the household. They may be responsible not only for bringing home the bacon, but also for frying it up in a pan and cleaning up after. They may have most or all of the child-rearing duties and may start to feel angry and resentful. Why don’t they ever help? They don’t look sick, and it can’t possibly be that bad. When will it ever be the way it was before? Welcome to living with a chronic pain patient. Living with a chronic pain patient can be complicated. The focus is on helping the patient get better, but in the meantime, caregivers are working hard to keep the household running. The truth is, both the patient and the family members need support in the struggle with chronic pain. Fortunately, there are many places to get support and to work through the issues that might arise. Managing chronic pain can be a delicate balance between acceptance and persistence. These 11 tips can help patients work through that struggle when they can and just accept it when things get tough. Finding an online chronic pain support community can help answer questions and lend an ear when needed. Make sure that the support community is moderated and that the environment is accepting and truly supportive. Patients should be able to talk about anything, but try to keep specific personal details to a minimum (e.g., exact addresses and children’s names). Be safe online. Exercise can be a great way to gently work out some of the soreness or stiffness of the body, and exercising in water is an effective way to get a healthy workout that is easy on joints and muscles. This type of exercise can involve the kids and family and can bring everyone together in a fun activity. It may be hard to get moving when feeling pain, but exercise is proven to help reduce the symptoms of chronic pain and it is worth the effort! The most important thing to remember when helping families cope with chronic pain is this: chronic pain does not just happen to one family member. It happens to the whole family. If a previously healthy person becomes incapacitated by chronic pain, who will take up their daily tasks when they are not able? Families are more than just each individual. Together they have a life and a breath that are unique. If one member is hurt or sick, the whole organism of the family suffers. There is proof that family support is crucial to treating chronic pain, but often the caregivers suffer and lose their ability to cope when an illness is chronic. A recent blog on the special challenges a mother faces when caring for sick children could actually be applied to anyone living with a chronic pain patient. Families may not have to explain the illness or the treatments to older chronic pain patients, but many of the challenges are similar. 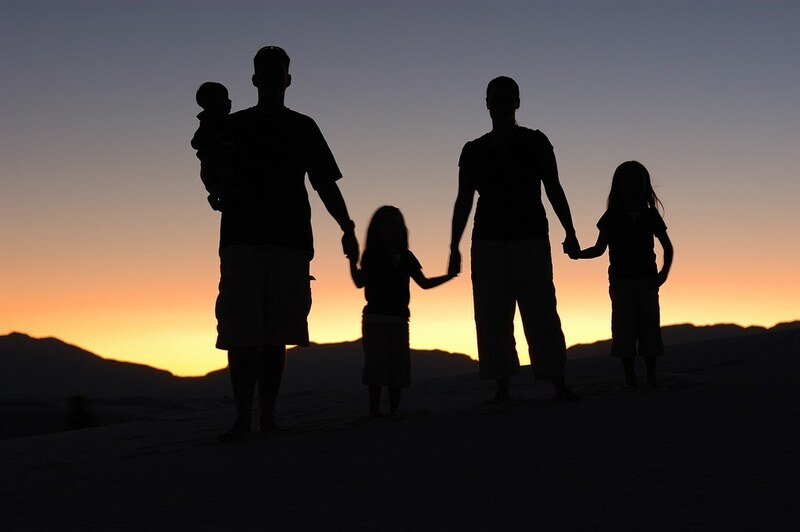 How can families be supported so that they are able to aid in the treatment of their loved one? First, it is important for the patient to try to remember that their family is suffering, too. No one wants to see a loved one in pain. The chronic pain patient should try to remember that the family wants to do whatever they can to help them feel better. It may be tempting (and easy) to take out frustrations on family members, but that may alienate their strongest supporters. Next, family members need to remember to take care of themselves. It is easy to forget that everyone in the family has needs when life is turned upside down and families are trying to adjust to everyday, practical tasks. Taking time for exercise, friends, or activities outside of the house, or hobbies is a great way to rest, renew, and recharge. Airline safety talks always caution to put on your own oxygen mask first, and this holds true for helping a loved one with a chronic illness. Caregiver stress is a common side effect of helping someone with a chronic illness, and it is important to recognize the signs. By taking time out, some of the effects can be avoided altogether! Finding a support group, either in person or online, can be invaluable. These groups are made up of people with the common experience of helping a loved one cope with chronic pain. Some of the members may have years of experience that can help newly diagnosed families cope. Ask the pain patient’s doctor for suggestions for local groups, and follow the same guidelines. A support group should be supportive and accepting. There should be no judgment, and even though the conversations may be tough, there should be some valuable takeaways in each meeting. Finally, plugging into a wide network of resources, including resources for both patient- and self-care can be a lifesaver. The Caregiver Action Network (CAN) is one such resource, offering one place to find community, technological, and practical resources to make your job easier and more supported. Caregivers can even tell their story and find agencies and organizations to help. CAN’s 10 Tips for Family Caregivers is a quick way to check in and make sure that caregivers are getting what they need, too. Living with a chronic pain patient can be challenging, but with understanding, love, support, and communication, families can come through the experience even stronger that before. If you’re living with a chronic pain patient, or if you are one yourself, share your tips for how family members can help cope with the changes while caring for a loved one. Thanks for these tips. I don’t think people realize how much this can affect a life. I really appreciate that you have a section for families in here. That is something I have never seen before! Thank you for sharing your story here. It can be very difficult to support someone in pain, and it does often change them. You need support too, though, in order to continue caring for them. Being a caregiver is an extraordinary responsibility and talking with others who actually understand what you’re going through can help. We recommend looking for a caregiver support group at https://paindoctor.com/caregiver-support-groups/. Hope this helps!